He thanked them for supporting Ukraine's sovereignty. 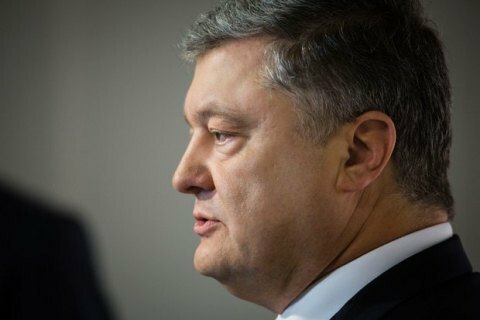 Ukrainian President Petro Poroshenko held a number of high-profile meetings in the course of the Munich Security Conference on 17 February. During a meeting with US Secretary of Defence Jim Mattis, Poroshenko thanked the USA for its firm support for Ukraine’s sovereignty and territorial integrity. “People in Ukraine believe in the leadership of the US in the reinforcement of Transatlantic front of counteraction to the Russian aggression and the attempts to destabilize the world's legality and order," he said. They also discussed the need to deploy a UN peacekeeping mission in Donbas in accordance with the UN principles and the goals of the Minsk process. Poroshenko thanked UK Prime Minister Theresa May for the continuation of the training mission for the Ukrainian military in the framework of the Operation ORBITAL. They also discussed the initiative to deploy a UN peacekeeping mission in the occupied part of Donbas. Poroshenko invited Theresa May to visit Ukraine. At a meeting with the Polish delegation led by Prime Minister Mateusz Morawiecki, Poroshenko said it was important to develop bilateral cooperation and coordinate actions in the context of Poland’s membership of the UN Security Council. Poroshenko expressed concern over the amended law on the Institute of National Remembrance recently passed by the Polish parliament. “He urged the Polish leadership to refrain from steps that could jeopardize the positive achievements of the bilateral dialogue on historical issues,” Poroshenko’s press service said. Poroshenko thanked NATO Secretary-General Jens Stoltenberg for consistent support for Ukraine’s sovereignty and territorial integrity, as well as for its solidarity in countering Russian aggression. He said that while Ukrainian had been taking consistent steps towards Euro-Atlantic cooperation and reforming its security sector with regard to its standards, more practical and expert assistance from the alliance would be welcome. He thanked Stoltenberg for his clear position regarding the alliance's open-door policy in regard to Ukraine.